TUSTIN, CA—According to sources nodding along to a coworker’s story about vacation home rentals, the conversation happening between strangers at the other end of the communal table at the Ocean Walk Café sounds way more interesting. 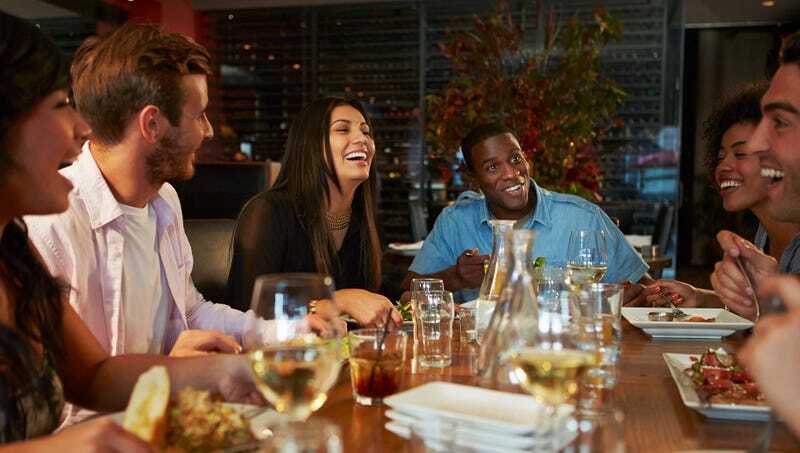 “I can’t tell exactly what they’re talking about, but just listen to them—they’re having a blast down there,” said restaurant patron Daniel Beech, who was forced to endure three consecutive griping anecdotes about departmental paid-time-off policy while peals of harmonious laughter rang out from the livelier, more engaged, clearly mutually supportive group less than six feet away. “Every so often, I’ll catch a snippet of the conversation, which I gather is about having exciting new experiences and is being conducted by engaged people in excited voices, and even once-removed is positively riveting compared to this droning, monotone hell on earth.” At press time, sources confirmed that the other end of the table had gotten their entrees first, too.